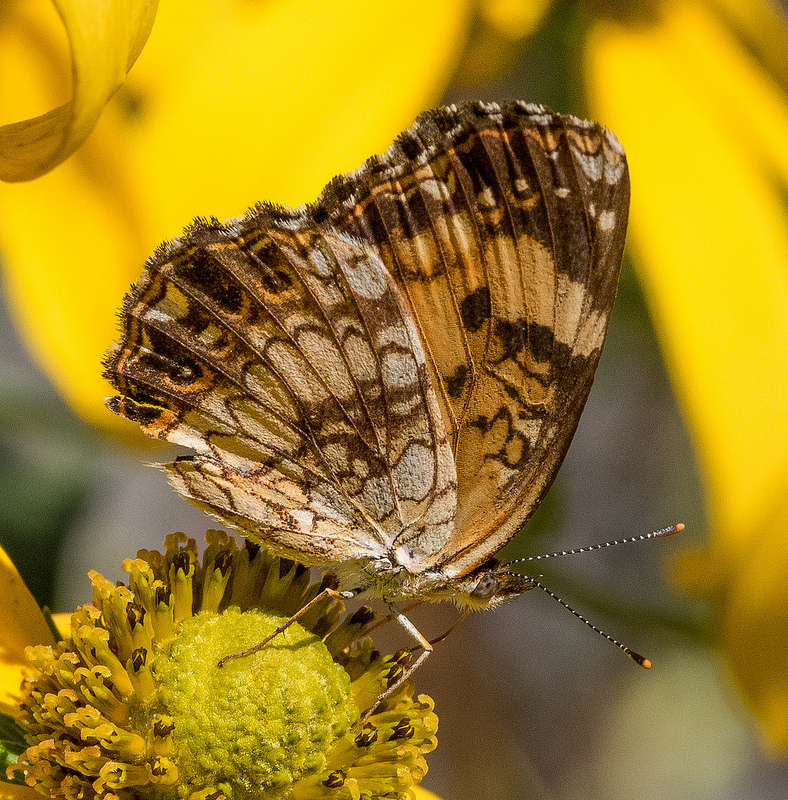 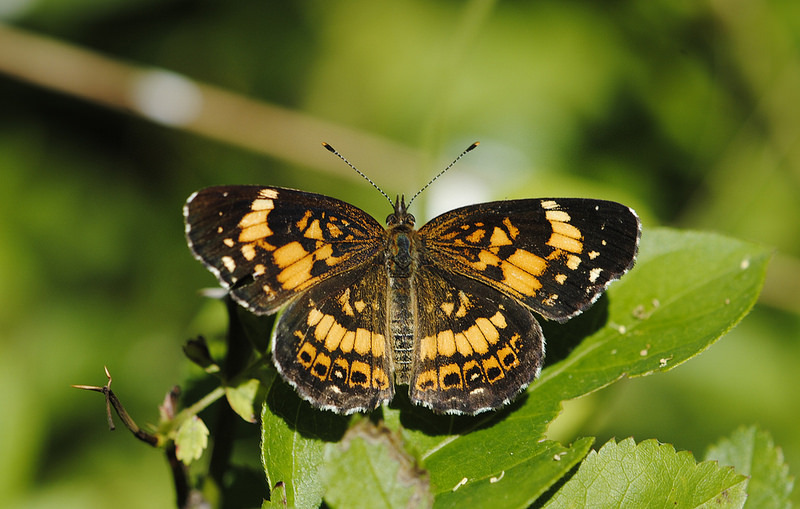 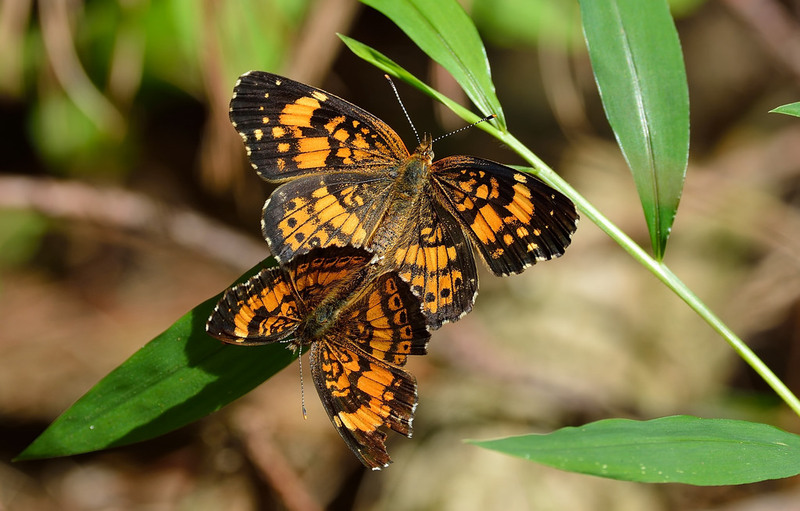 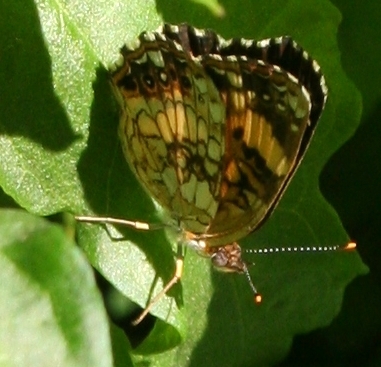 Silvery Checkerspot (Chlosyne nycteis) is a sharply-patterned, attractive butterfly of moist woodlands, where it may be found in meadows or along riparian areas where its hosts occur. 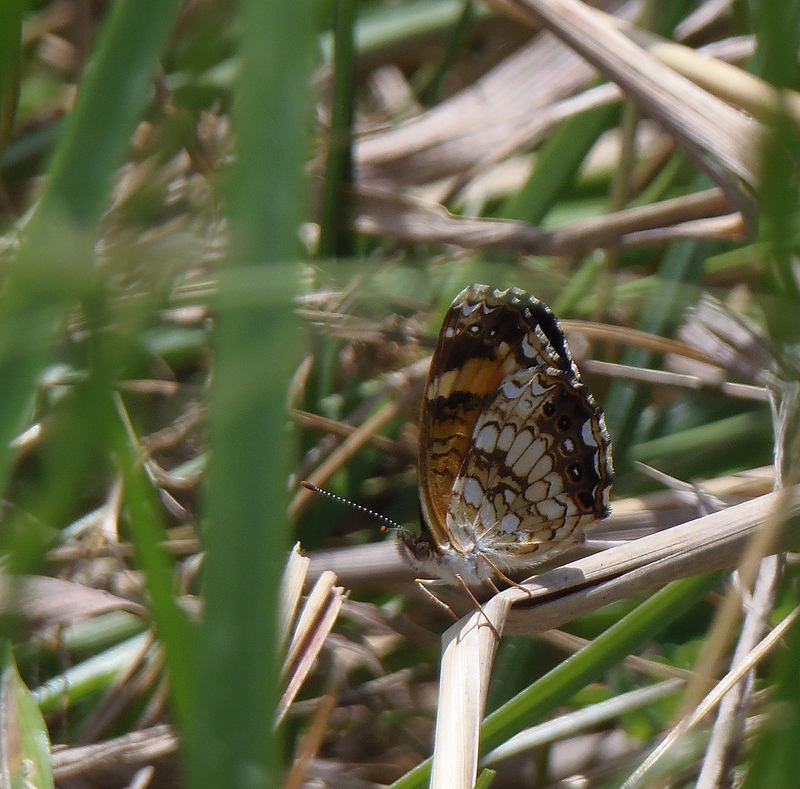 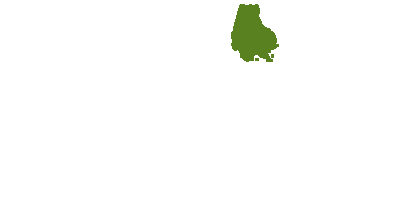 It somewhat resembles an oversized, heavily-marked Pearl Crescent. 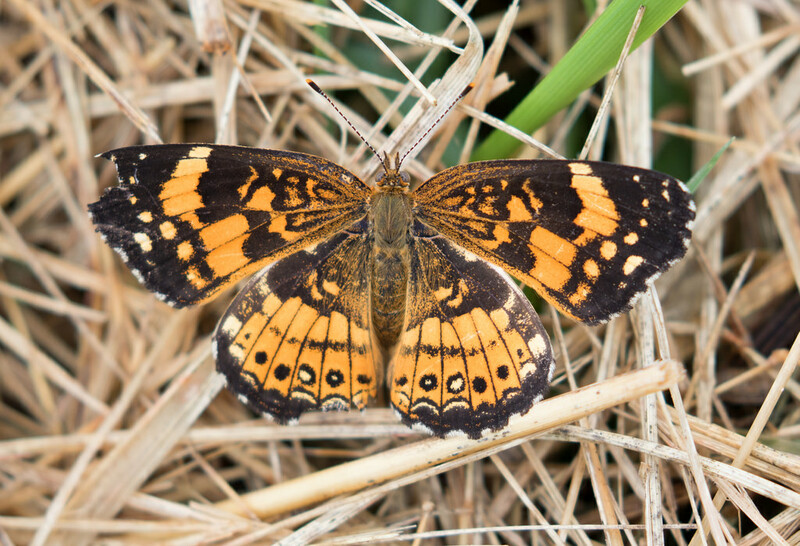 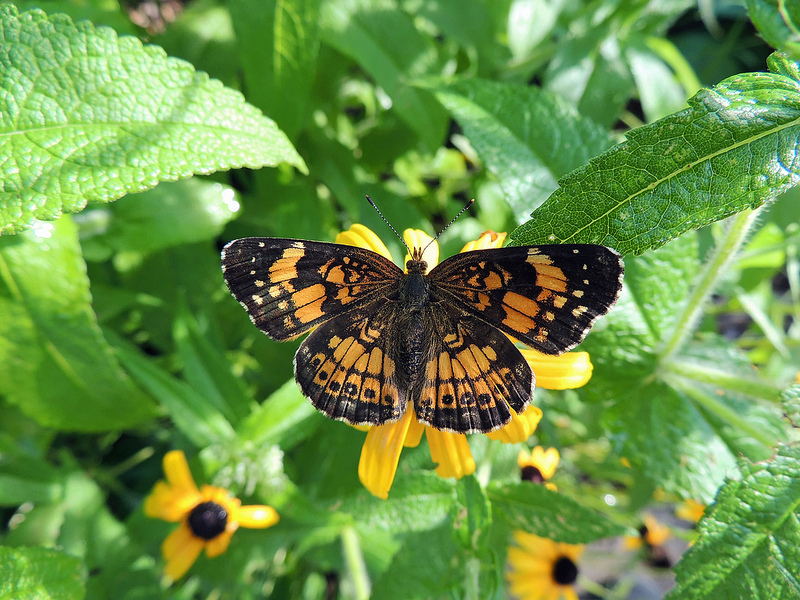 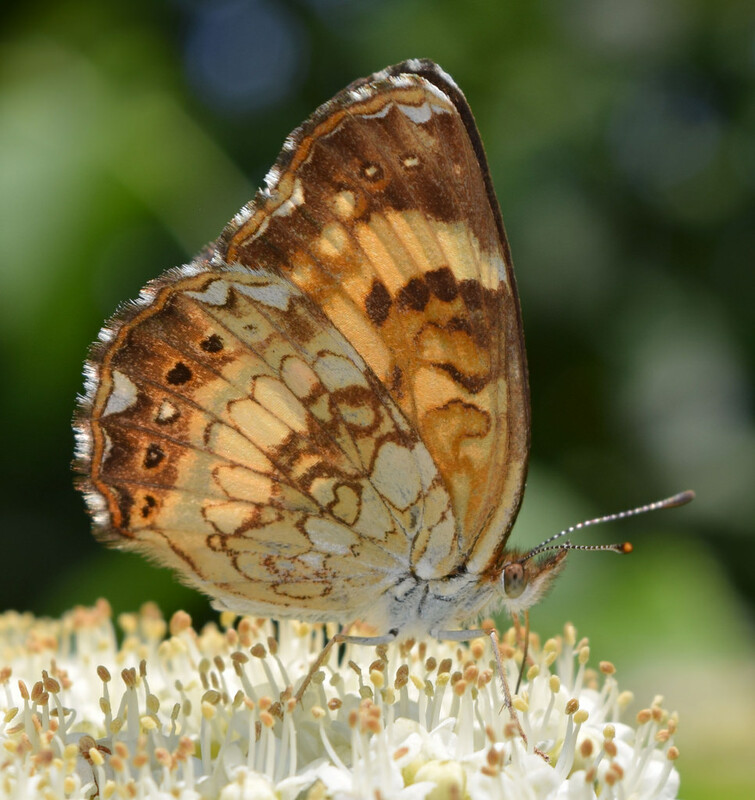 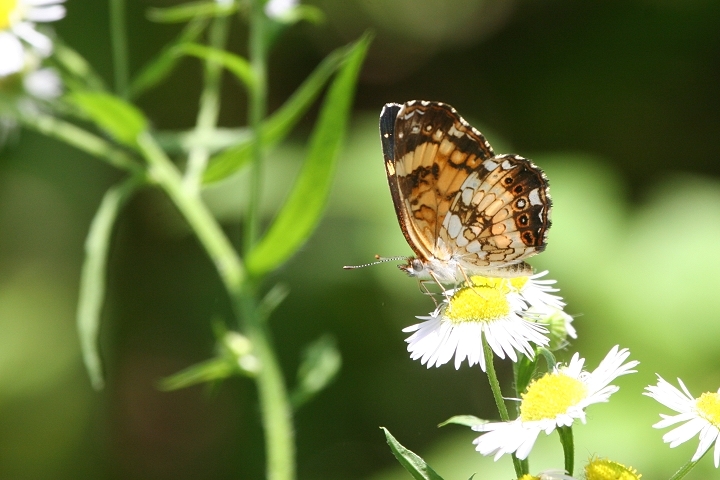 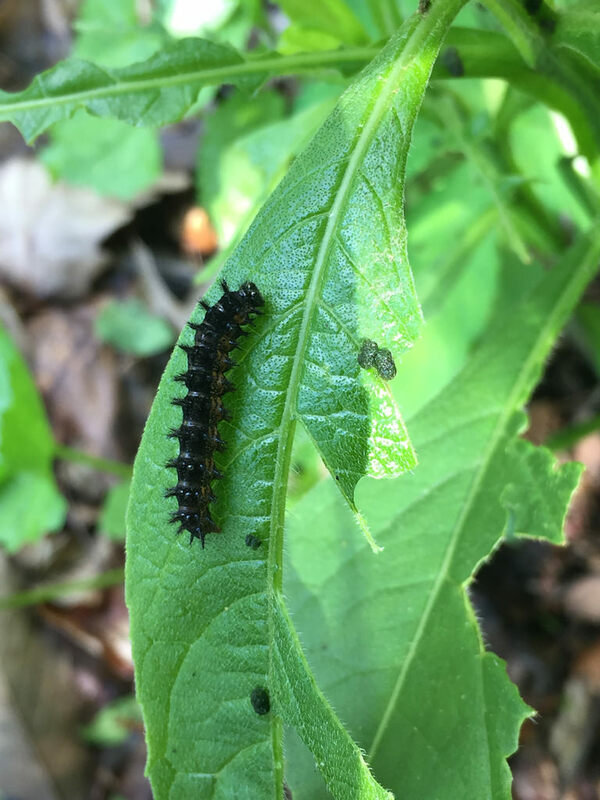 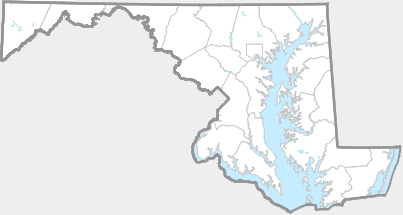 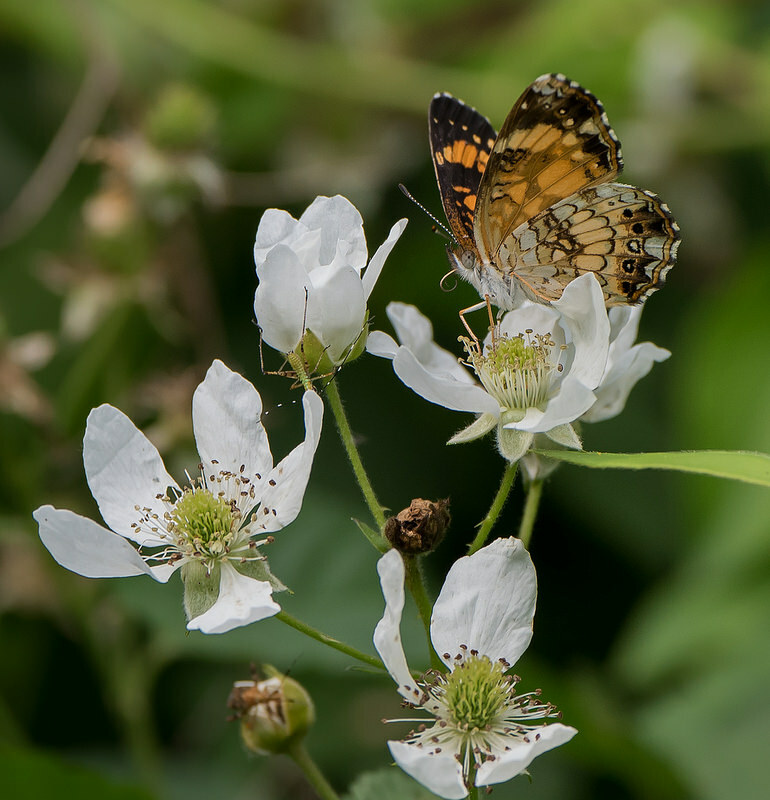 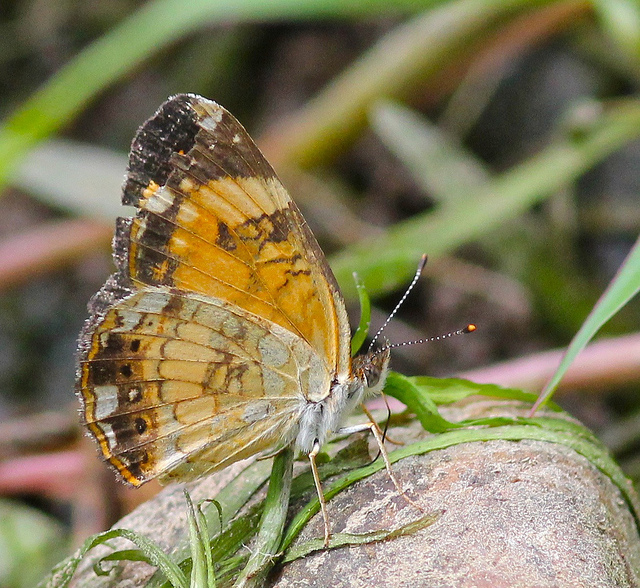 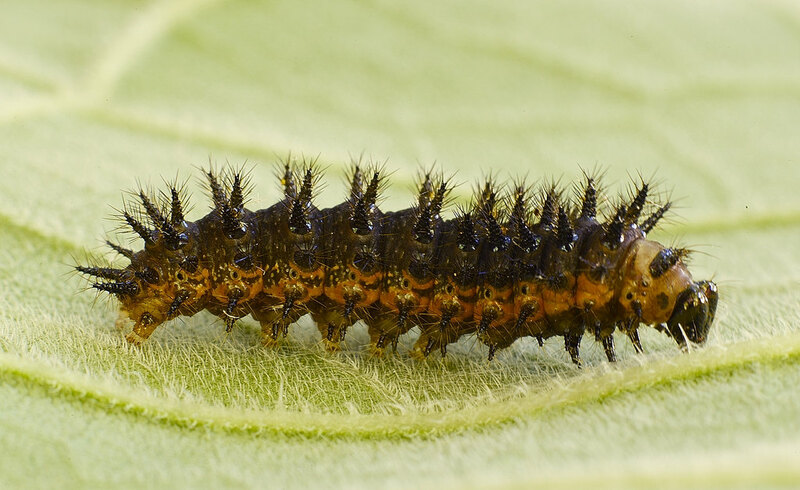 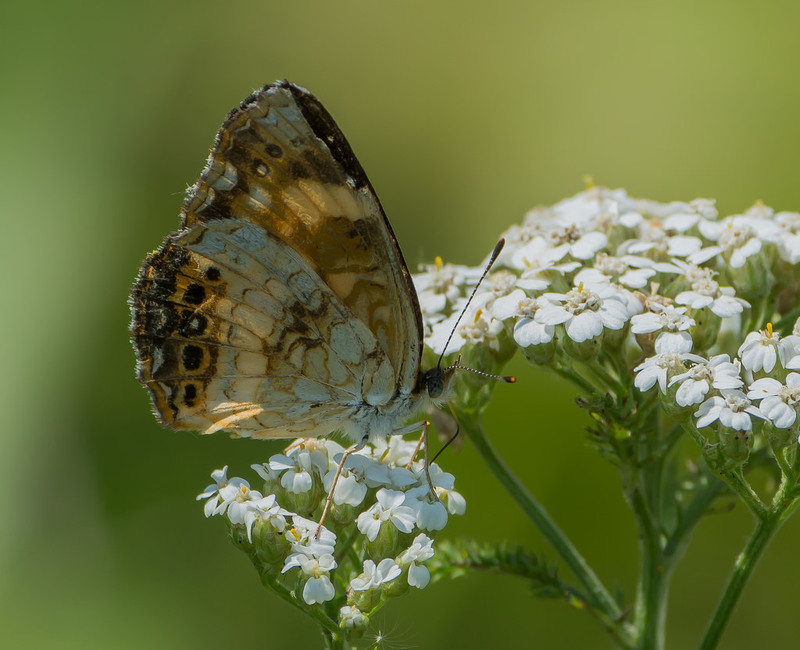 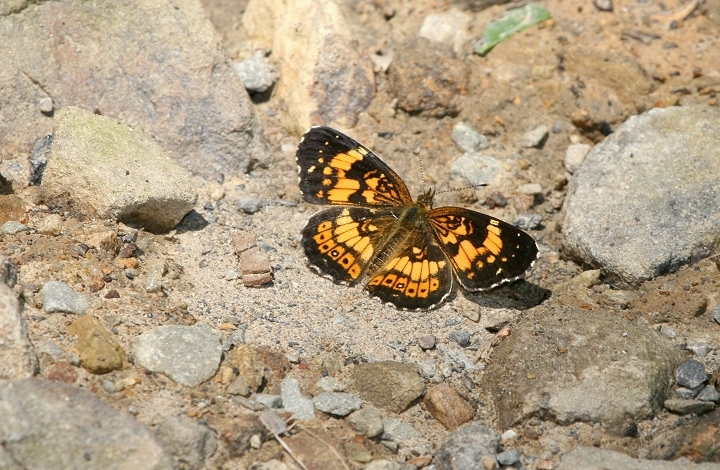 This butterfly is somewhat uncommon in Maryland, though it may be locally common. 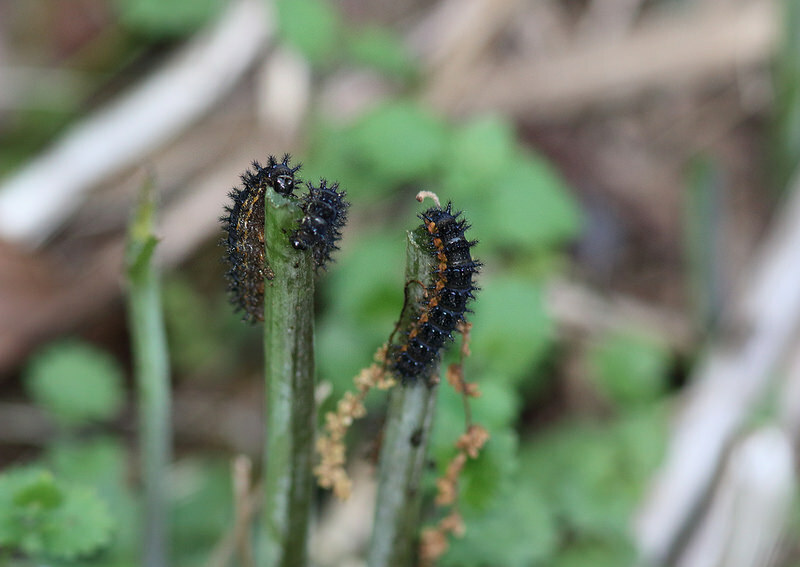 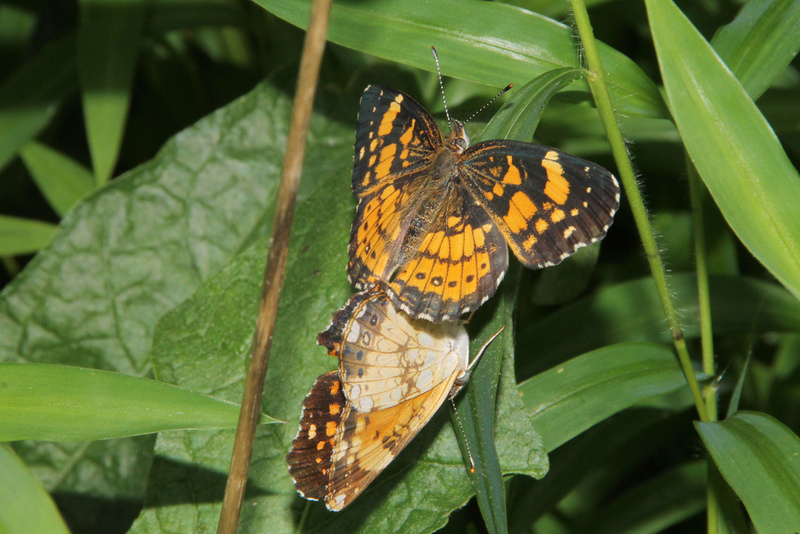 It flies from early June to late September as two broods (Butterflies of Maryland: A Biological Summary and Checklist by Lynn Davidson & Richard Smith). 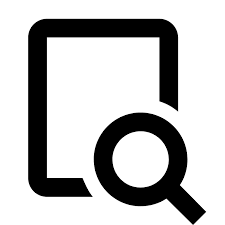 There are 101 records in the project database.